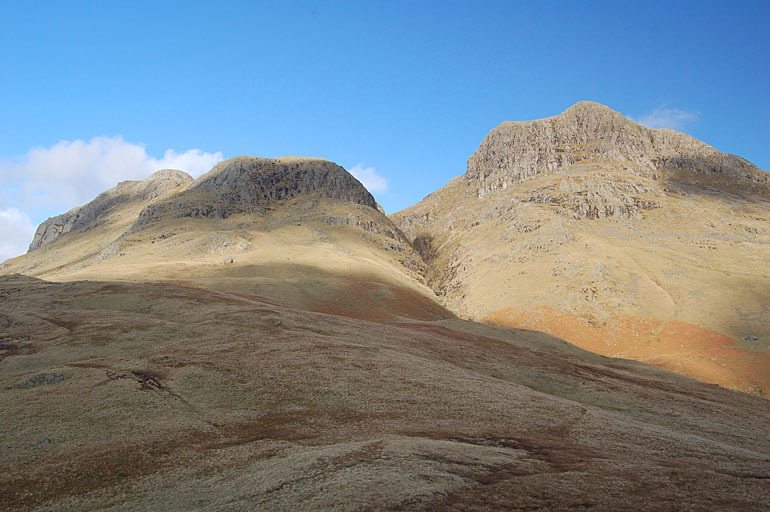 Loft Crag appears on the left, over the shoulder of Thorn Crag. Harrison Stickle is on the right. Smaller version of this picture.